Lately, I find myself being taken up with several new and varied fascinations—one of these being Yin. 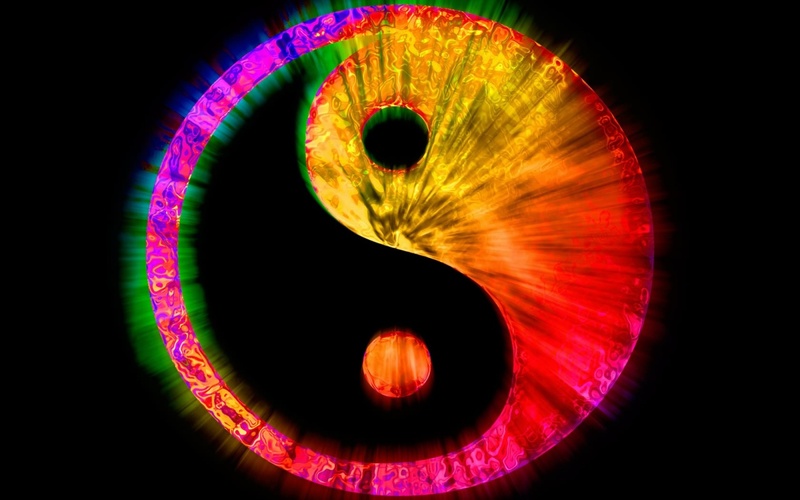 The concept comes from the Eastern philosophy that duality (Yin and Yang) are both present in all living things, essentially meaning there are two complementary parts to every whole. The idea further states that the whole is greater than the assembled parts. Here’s a quick and dirty on Yin and Yang: While Yin is generally viewed a symbol of earth, femaleness, darkness, passivity, and absorption, Yang is revered as heaven, maleness, light, activity, and penetration. It is undesirable to have deficiency or excess of either yin or yang. Yang, as it applies to yoga, is more commonly practiced in our western world, focusing on movement and poses (asanas) that emphasize strength and muscular contraction. Yin Yoga, by contrast, targets the connective tissue of the hips, pelvis, and lower spine based on the premise that this tissue responds best to gentle stress over a long period of time. This is why Yin postures are generally held for anywhere from three to 10 minutes per side. Yin practice complements the more muscular yang style of yoga, and is said to restore energy, calm the nervous system, and helps individuals learn to sit in meditation. Further benefits of the practice include calming the mind, increasing mobility, reducing stress, assisting with TMJ and migraines, and promoting deep relaxation. I was not really surprised to learn Yin is less popular in the west. In fact, I dismissed the thought of attending a class for quite some time, myself, not really understanding anything about the practice and ignorantly viewing it as an inferior form of yoga better suited for old people. However, as I was introduced to the benefits of meditation and became more aware of the state of my body’s energy system independent of my yoga practice, I was naturally and almost magentically drawn to try Yin. Continuing with my practice over the past several months, I’ve come to understand how Yin is steeped in physical, mental, and emotional intensity. For me, Yin has become a weekly ritual of creating space to get safely uncomfortable, examine my own darkness, and gracefully release guilt, shame, and a host of other emotions that had become lodged in my hips, pelvis, shoulders, and sacrum. In the safety and warmth of a candlelit room, the following realizations have continued to come up for me as lessons that I believe can be equally applied off the mat. I’m not generally a fan of the gimmicky nature of the Internet/blog post numbered list of reasons to do this or not to do that, but in my ongoing endeavor to be less rigid, here are the five lessons I’ve learned about life in Yin Yoga class (sometimes you just ‘gotsto’ break your own rules). 1. There is power in softness. There is a time for power and a time for softness, both in yoga and in life. The balance lies in the contrast and knowing when which of the two is most appropriate. Yin Yoga is a lovely and gentle reminder of the place and purpose of softness, and the power that can be derived from it, because releasing resistance and allowing yourself to be passive without forcing, are, at times, what you need most. The act of surrender has long been a challenge for me, and I still struggle when it comes to putting this concept into practice off the mat. However, I am also reminded of how constant pushing, forcing, and attempts to control outcomes will eventually take their toll, culminating in exhaustion and burnout. 2. There is beauty in stillness. As Yin Yoga poses are held for an average of five minutes, one of the most challenging aspects of the practice is remaining still, without moving, fidgeting, or adjusting. The ego-driven mind is a powerful adversary, delivering the temptation to move, scratch, or reach for a sip of water during these longer-held stretches. But when you can get to the place where you notice the thought of the desire for movement without actually giving in to it, the thought will often pass. What is left in that space, which would have otherwise been occupied with scratching or some other movement, is beautiful stillness. 3. There is freedom in accepting and “being” with discomfort. Yin requires a high level of intimacy with the self—with our feelings, sensations, and emotions. While these feelings may also come up in other styles of yoga, it’s much easier to avoid them in classes that move at a faster pace. When subjected to longer periods of time in uncomfortable positions in Yin yoga; however, we have little choice but to “be” and “accept what is” in that given moment. The perspective Yin Yoga has provided me in this regard has been tremendously valuable, as I have noticed a strong aversion to feeling my own physical and mental pains. The lesson I’ve learned, though, is when I am mentally stuck in my everyday worry and frustration, I can bring the same kind of attention to the sensations in my body. Most importantly, by observing these thoughts and reactions and deliberately staying with them, they will eventually go away. 4. There is life in each breath. Breath is life, and the highly meditative nature of the Yin Yoga practice requires that participants keep coming back to this fundamental truth, which I suggest is equally important off the mat. By focusing on each inhale and exhale, noticing the quality of the breath—whether it gets caught in a certain place in the body, is rough, or jagged, or it is fluid, smooth, and even—we remain grounded and focused in each moment Just keep coming back to the breath, on your mat and in your life. 5. There is growth in playing your edge. The body’s edge in yoga is the place just before pain, but not pain itself. Consciously bringing the body to its various limits or edges and holding it is the way to gently nudge it toward more openness. In this way, time and awareness are the fertile soil in which the slow process of expansion will begin to blossom. As the range expands and the edges move, we gently push the envelope toward growth and change beyond our limitations. This concept requires a high degree of mindfulness, striking a balance between the body’s physical cues and how they are perceived by the mind. Just like in life, the key to growth lies in listening, honouring, and accepting. For me, this requires practicing a heavy dose of patience, too, which is yet another valuable lesson we all can apply off the mat. I hope you enjoyed this list, and maybe even learned something that resonates for you.